Tradicional Curry Dishes There are 122 products to choose from. Takeaway Lanzarote - Restaurants Playa Blanca Traditional sauce from India prepared with onions, tomatoes and spices. Takeaway Lanzarote - Restaurants Playa Blanca Curry sauce imbibed with diced onions cooked to perfection. Takeaway Lanzarote - Restaurants Playa Blanca Fairly spiced tomato gravy tempered with herbs, spices, cream and almonds. Takeaway Lanzarote - Restaurants Playa Blanca Mild creamy tangy sauce prepared with tomatoes, fresh cream and butter. Takeaway Lanzarote - Restaurants Playa Blanca Creamy mild rich sauce, made with coconut milk, almonds and cream. Takeaway Lanzarote - Restaurants Playa Blanca Mint flavoured mild rich creamy sauce, cooked with almonds and coconut milk. Takeaway Lanzarote - Restaurants Playa Blanca This dish originates from Kashmir region, cooked with onion, tomatoes, herbs, spices and a touch of butter. Takeaway Lanzarote - Restaurants Playa Blanca Authentic Parsi preparation with lentils, pineapple with a flavour aroma of cloves. 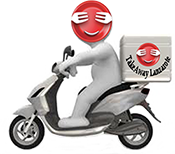 Takeaway Lanzarote - Restaurants Playa Blanca Tribunal Punjabi robust sauce, made of onions, tomatoes and authentic spices. Takeaway Lanzarote - Restaurants Playa Blanca This chosen dish cooked in sauce of freshly plucked spinach with a touch of cumin flavour. Takeaway Lanzarote - Restaurants Playa Blanca A traditional dish tossed with bell peppers and pounded masalas. Takeaway Lanzarote - Restaurants Playa Blanca A combination of onions, bell peppers and plucked spinach tossed with herbs in a tangy savoury flavour.